This description of the initial situation, which precedes the compilation of scenarios, examines a number of different subjects. 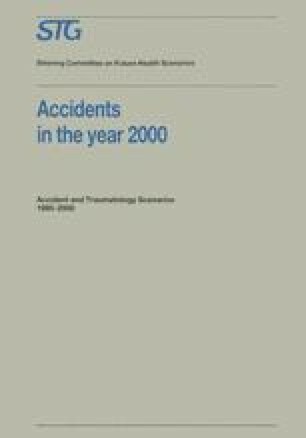 A brief survey is provided of the scale of the damage to public health caused by accidents (section 2.2). Subsequently the way this problem has evolved in recent decades, and the background to those trends, will be examined (section 2.3). Finally this analysis of the present situation and the past is used to compile an initial survey of factors with a potential bearing on future developments in this field (section 2.4). To begin with, however, a number of concepts are discussed that recur frequently in this chapter and is the remainder of the report.